La Casona Hostel is loctaed in Playa Bonita, km 7,5 of Bustillo Av. 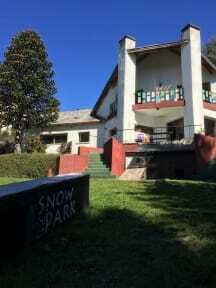 A really nice spot outside the city for people that want to enjoy a quiet place sorrounded by nature and the best restaurants and breweries in the area. Only just a few steps walking you can get to one of the most incredible beaches in Bariloche and do all the activities offered by the Nahuel Huapi lake as kayaking, sups, fishing, kitesurfing, windsurfing among others. 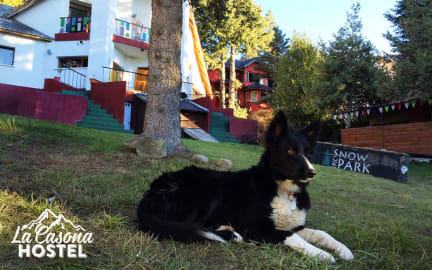 The Hostel offers private and shared rooms with amazing views to the lake and a shared balcony where you can enjoy the best sunsets in Bariloche. We have a big 1800 mts2 yard with a grill to enjoy the most of the property.